Domestic abuse is never acceptable, whatever your age. 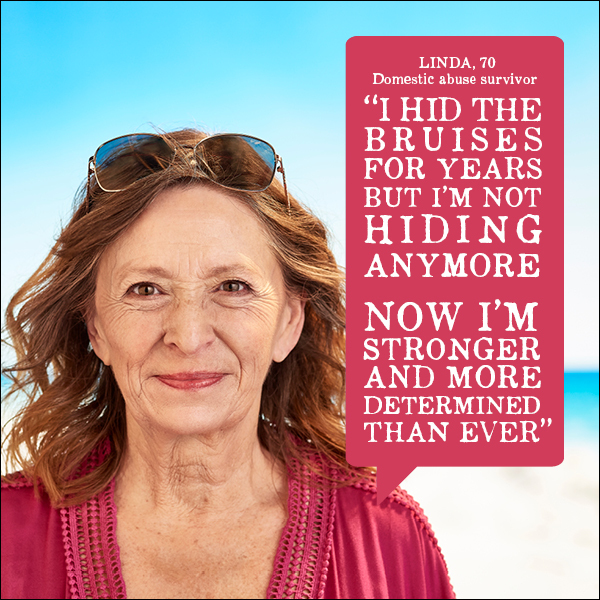 In the last few years there has been a sharp increase in the number of reported incidents of domestic abuse by people over 55. In response to this increase a countywide campaign to empower victims, 55 and over to seek support through the 55 Plus Safety Net. This campaign is the first of this kind in the county and focuses on positive outcomes showing what survivors can do now, that they couldn’t before, using real victim stories which can be seen below. The campaign is being led by the Southend, Essex and Thurrock Domestic Abuse Board (SETDAB) – a group of key organisations working in partnership to tackle domestic abuse.